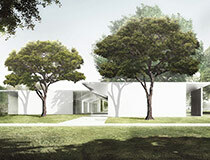 Search results for "Nelson Byrd Woltz Landscape Architect"
Johnston Marklee's design for the Menil Drawing Institute. The Southwest got another major dose of architecture and urbanism in 2014, which we covered with the founding of AN's southwest regional print newspaper. 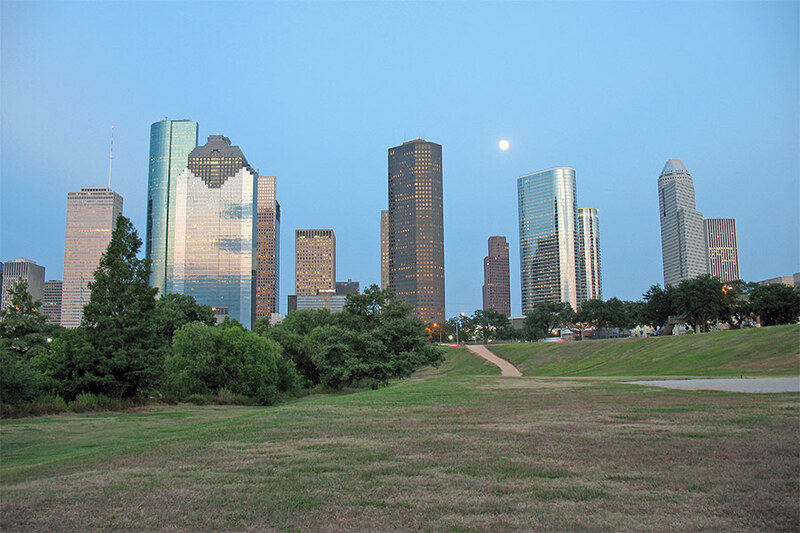 Austin and San Antonio approved multimodal transit hubs, Nelson Byrd Woltz laid out plans to revamp Houston's Memorial Park, and Louisiana got resiliency master plans. And that's just the start of it. 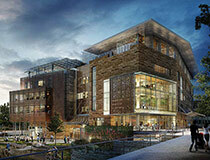 Designed by Lake-Flato and Shepley Bulfinch, Austin's new central library will be a hub for the capital city. 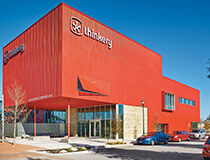 Austin's new children's museum educates and entertains through architecture. 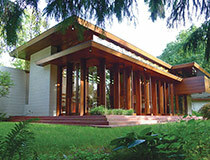 Crystal Bridges Museum acquires a Frank Lloyd Wright Usonian House from New Jersey. 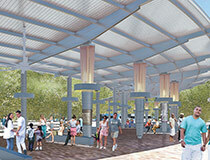 San Antonio hopes a multimodal transit facility will bring new life to its near west side. 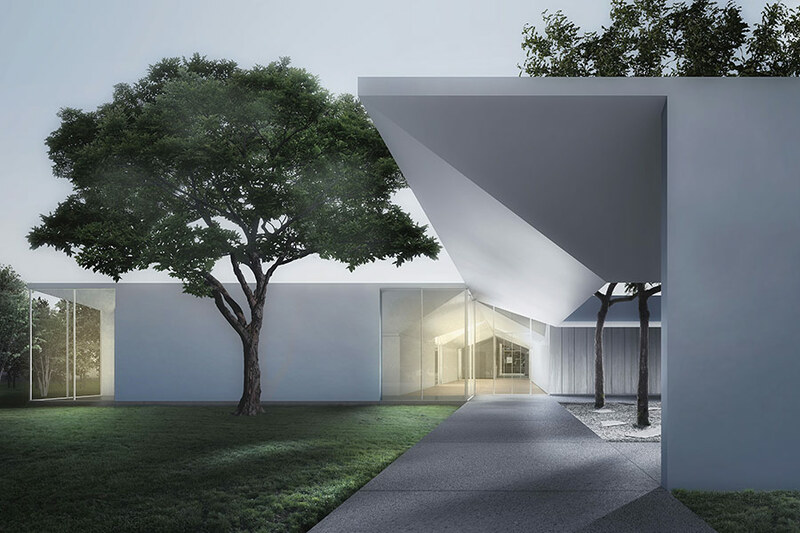 The Menil Collection unveils Johnston Marklee-designed Drawing Institute. 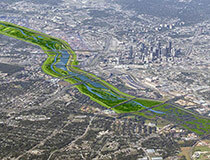 First phase of Dallas' Trinity Lakes project gets underway. 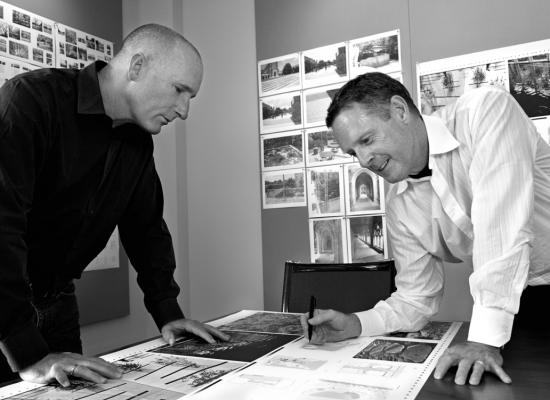 Spackman Mossop Michaels makes plans for Baton Rouge and New Orleans. Austin's Highland Mall to be transformed into a college campus and transit-oriented mixed-use development. 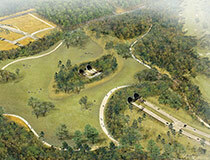 Nelson Byrd Woltz presents initial ideas for redesign of Houston's Memorial Park. 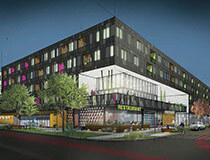 A polyphony of design voices make up Austin's new Lamar Union complex. New York’s most glamorous park has taken a humble turn. 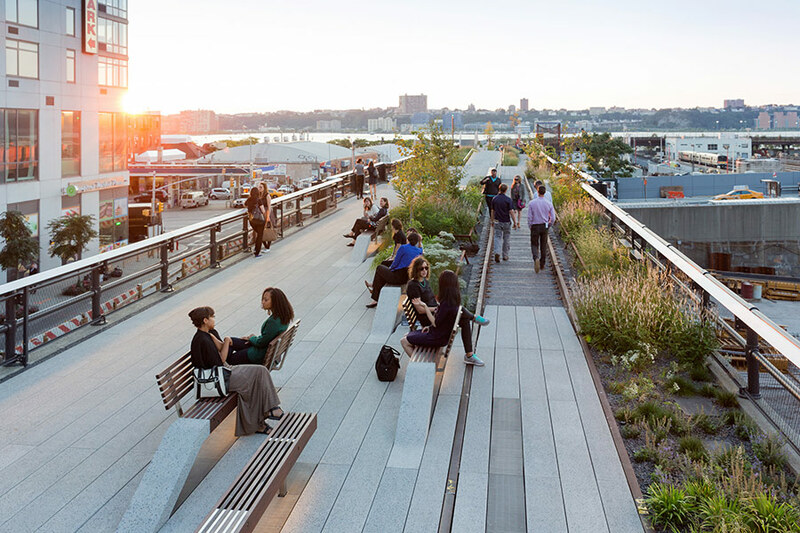 On September 20, the Friends of the High Line opened the third segment of the now world famous urban promenade. 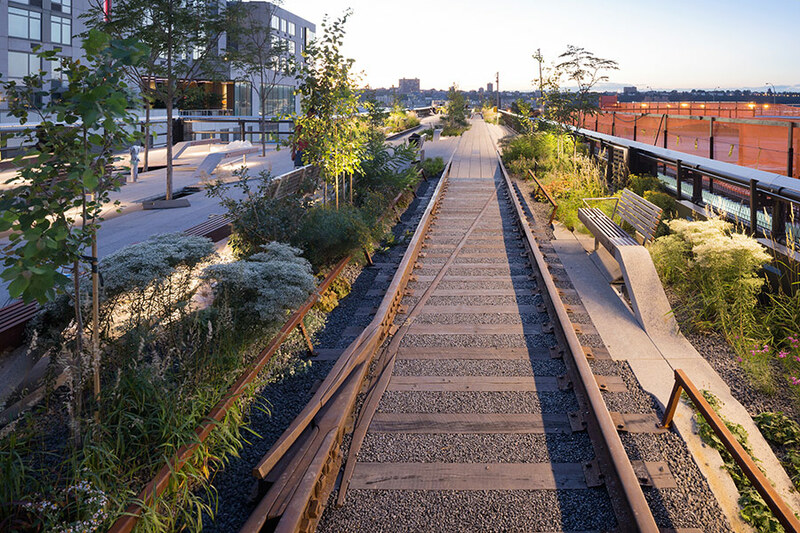 Unlike the first two segments, the third is not technically finished, but the Friends of the High Line have made it accessible, giving the full length of the linear park over to the public (the so-called spur on 30th Street is under scaffolding for the Hudson Yards tower that will be anchored by the fashion brand Coach). 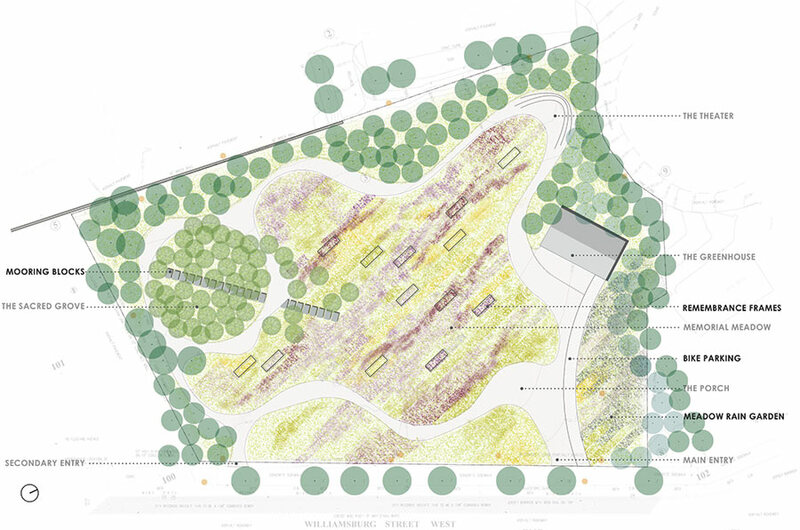 About half of the third segment has been given the full James Corner Field Operations/Diller Scofidio + Renfro design treatment: The feathered paths with the comb-like concrete pavement, the benches that curve up from the paths, and scattered, naturalistic plantings. This portion runs east-west from Tenth Avenue to Eleventh Avenue. The designers see this portion of the park as a crossroads, and one of the only places where the visitor has a choice of directions. 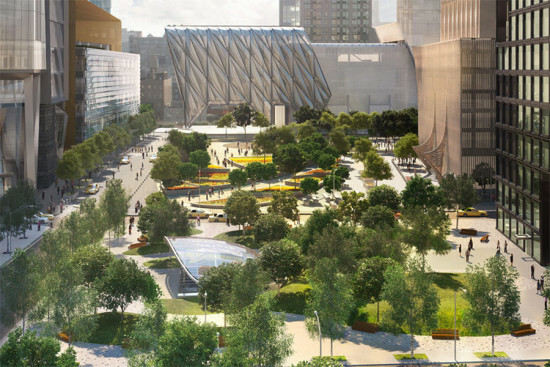 A new alignment of public spaces, including a large plaza by Nelson Byrd Woltz, and the new 7 line stop park by Michael Van Valkenburgh, will form where the line bends at 30th street to the newest segment, creating a view corridor through the massive new development. 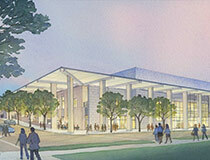 The finished portion retains many of the design elements of the previous two sections. Assuming high levels of foot traffic at this juncture, the area has more hardscape than other portions of the park. As you walk toward the river, you encounter a sunken children’s play area cut into the track bed, exposing the beams below, which are covered in silicone wrappers to make them soft and kid-friendly. Lead designers Field Operations, working with Piet Oudolf, have chosen a variety of plants that are meant to activate the senses, including herbs for smell and soft grasses to touch. There is even a “gopher hole” tunnel, where kids can crawl under the planting beds and pop their heads out of an opening in the garden. 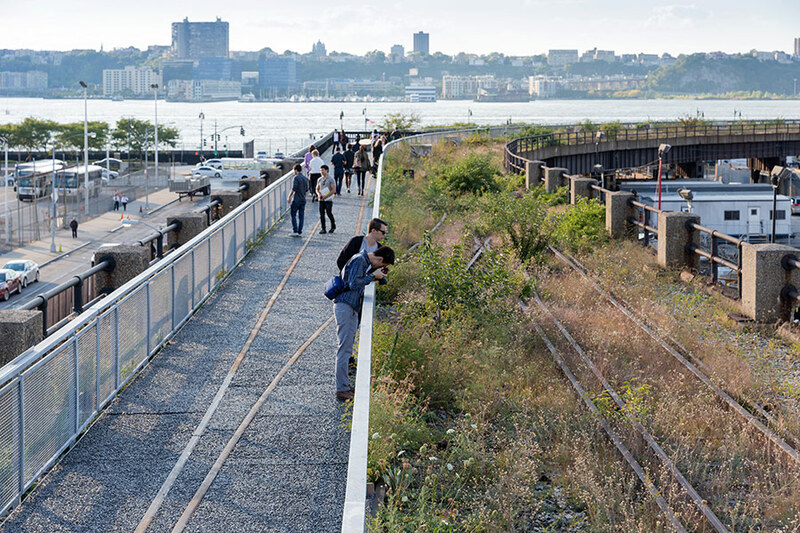 As the Line crosses Eleventh Avenue, the path rises up three feet to take in the views of the traffic and the Hudson River, forming what Liz Diller cheekily calls a “runway,” a nod to the High Line’s reputation as a promenade for the fashionable (as well as the likely relocation of Fashion Week to Hudson Yards). Flanked by benches on either side, the subtle rise—about three feet in total—is effective in altering one’s perception and focusing the viewer on the river beyond. It is the sort of move that has made the park such a landmark development of contemporary public space and landscape architecture. At the same time, one senses a bit of exhaustion in the design, particularly with the curved benches throughout, which have been tricked-out in a variety of new configurations: picnic benches, tete-a-tete seating, a seesaw bench, a xylophone version, a crisscross design to encourage conversation. These seemed like an unnecessary bid for novelty for novelty’s sake. This may begin to explain why the final portion, a “temporary design,” which curves back north/south and bends down to meet street grade at 34th Street, feels like such a revelation. The simplicity of the temporary section is something of a rebuke to the highly designed and meticulously manicured earlier phases. Passing through a gate that is only slightly more designed than your average chain link fence, the team has created a simple gravel path and left the rest pretty much alone. 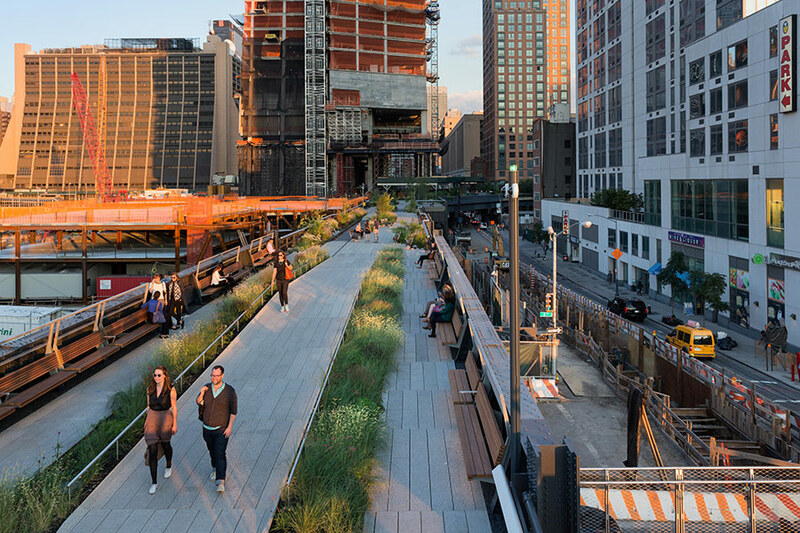 Here, you encounter the authenticity and romance of the pre-park High Line, the remnant, wild landscape planted by wind gusts and birds. Alongside the path, you see the rusty train tracks and the rough old wood ties, many of which are disappearing into the rocky gravel. The landscape is varied and strange and incredibly beautiful. The minimalist design here calls to mind something close to Land Art. It focuses the eye and the mind, allowing you to see the object and the city right in front of you in a new way. The West Side Highway, the glittering river streaming with boats on the right, the lines of trains, which will eventually be decked over for the Western Rail Yards, fascinate. The new neighborhood rising behind is a testament to the city’s power, wealth, and brutal voraciousness. 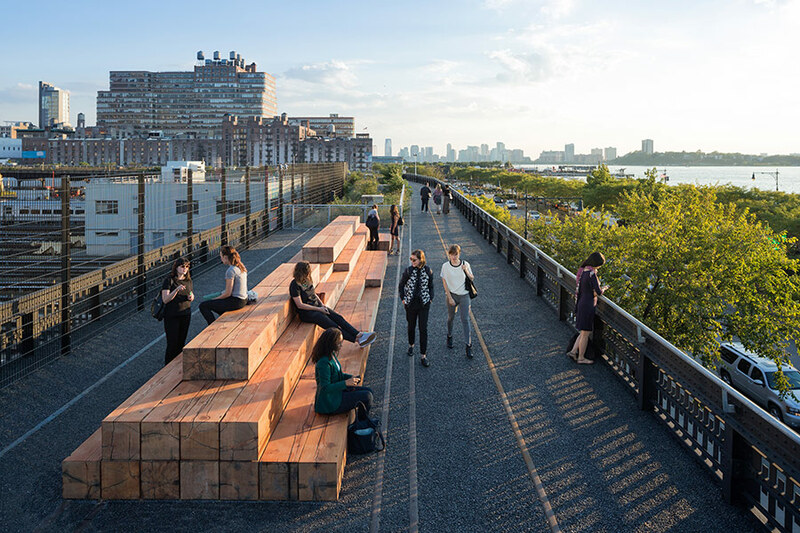 The path itself is embellished only twice along the four-block stretch, with two large seating areas, one “the beam bench,” made from reclaimed pieces of the steel beams saved from earlier phases of the renovation, and a bleacher-like pile of massive squared off logs. Past this point, the path is entirely paved, and quickly becomes too hot on even moderately sunny days. As the High Line meets the ground, unceremoniously and somewhat unexpectedly, midblock facing the side of the Javits Center, the designers preserved a glade of wild Aspen trees and added a few benches, which are sure to be popular with the throngs who wait on the sidewalk for the Megabus coaches. 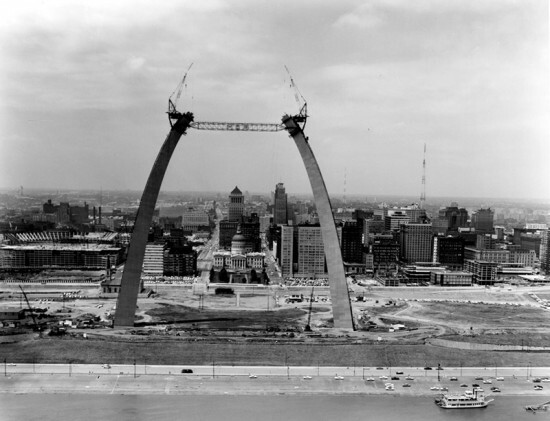 There is currently a master plan to finish the temporary segment to the level of the other portions. That would be a mistake. 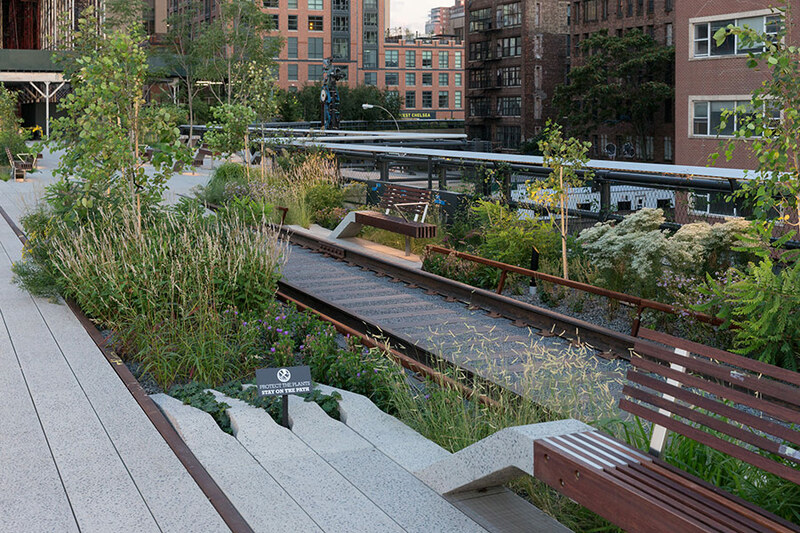 The public deserves to see this piece of the High Line as it was. 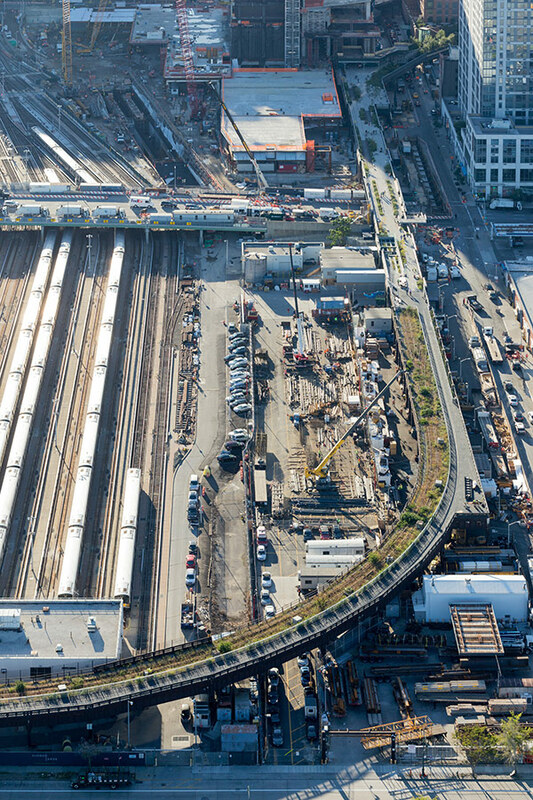 It was the power of the remnant landscape that became the reason for the preservation of the elevated line itself. James Corner, for one, seemed open to preserving some or all of the truly wild. “The strategy was budgetary, but maybe it is finished,” he said. A flagship Neiman Marcus store, marking the company’s expansion into New York, is scheduled to open in Hudson Yards in 2018. The store will occupy 250,000 square feet—or one-fourth of the retail space—at the Shops at Hudson Yards, a retail destination designed by the Boston-based firm Elkus Manfredi Architects. 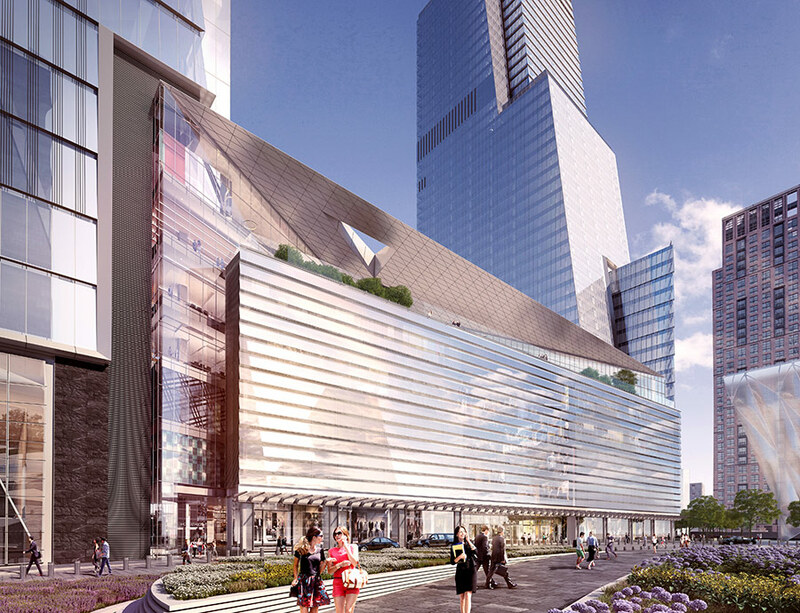 The announcement by the high end retailer further cements Hudson Yards as a center for fashion-related businesses. The building’s glass curtain wall will afford shoppers a view of the High Line and also the Culture Shed, a Diller Scofidio + Renfro and Rockwell Group–designed structure that is the planned home of Mercedes Benz Fashion Week Group. The three-story luxury store will face the public plaza designed by Nelson Byrd Woltz Landscape Architects in collaboration with Thomas Heatherwick. The store will have a dedicated entrance on 10th Avenue between 31st and 32nd streets, as well as multiple access points throughout the complex. 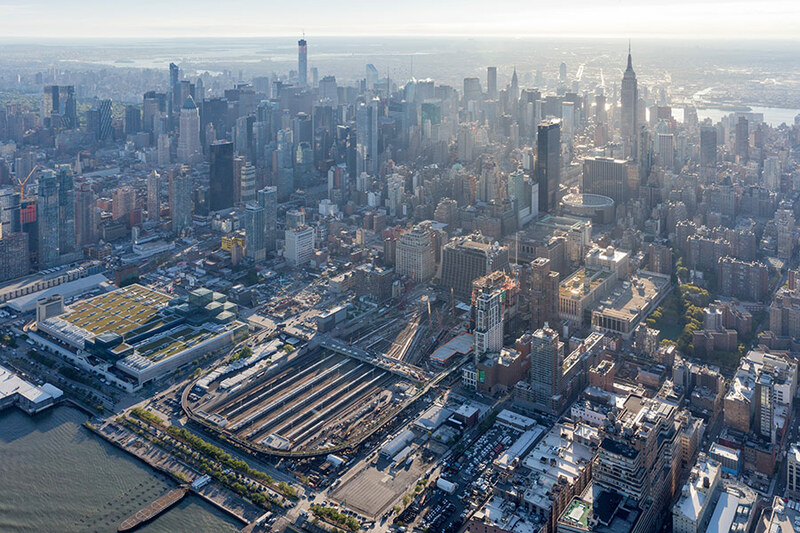 Neiman Marcus is not the first fashion brand to call Hudson Yards home. The high-rise tower at 10 Hudson Yards, now under construction, will be the world headquarters for the leather goods maker Coach and the U.S. corporate headquarters for L’Oréal. The Dallas-based Neiman Marcus, which was acquired by Ares Management and the Canada Pension Plan Investment Board for about $6 billion last year, also owns the Bergdorf Goodman department store in New York City, which is scheduled to undergo a multimillion-dollar modernization. The company is also opening an outlet store, Last Call Studio, later this year in Brooklyn. 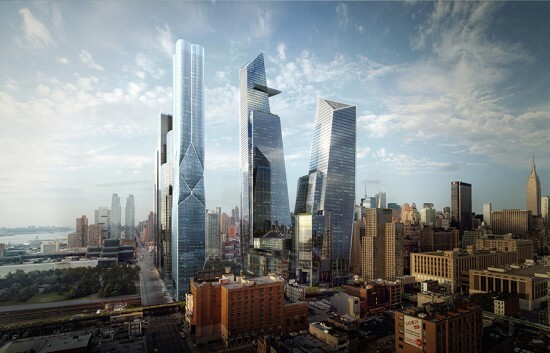 The Neiman Marcus store at Hudson Yards will be showcased in a three-month exhibition, Hudson Yards: New York’s Future Is Rising, that opened at the Time Warner Center at Columbus Circle on Saturday, September 6, 2014. The exhibition will feature models and renderings of the transformation already underway on Manhattan’s west side. Exhibit goers will receive a build-your-own Hudson Yards postcard set designed by paper engineer and graphic designer Keisuke Saka as part of the “Make City” series of paper crafts that includes New York, London, and Tokyo. The 28-acre Hudson Yards, developed by Related Companies and Oxford Properties Group, is the largest private real estate development in U.S. history and will bring more than 17 million square feet of commercial and residential space, more than 100 shops and restaurants, 5,000 new residences, 14 acres of public open space, a public school, and a 175-room luxury hotel to the city. Nelson Byrd Woltz's Naval Cemetery Landscape in the Brooklyn Navy Yard. 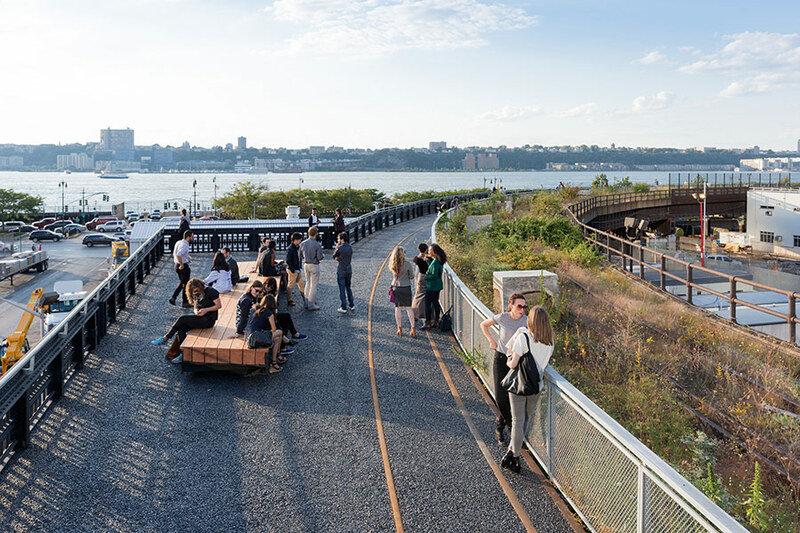 The Brooklyn Greenway Initiative (BGI), a non-profit working to unify Brooklyn’s waterfront with a continuous 14-mile greenway, continues to make strides. The organization’s co-founders, Milton Puryear, Meg Fellerath, and Bian McCormick, are busy cutting ribbons from Bayview to Greenpoint. Soon a new section of the greenway will be unveiled on Van Brunt Street in the Columbia Waterfront Neighborhood, the Naval Cemetery Landscape in the Navy Yard is nearing site preparation, and concepts for large nodal parks are being shopped around. The BGI is a 21st century model for how to develop flood-prone zones of cities under unified guiding principles. 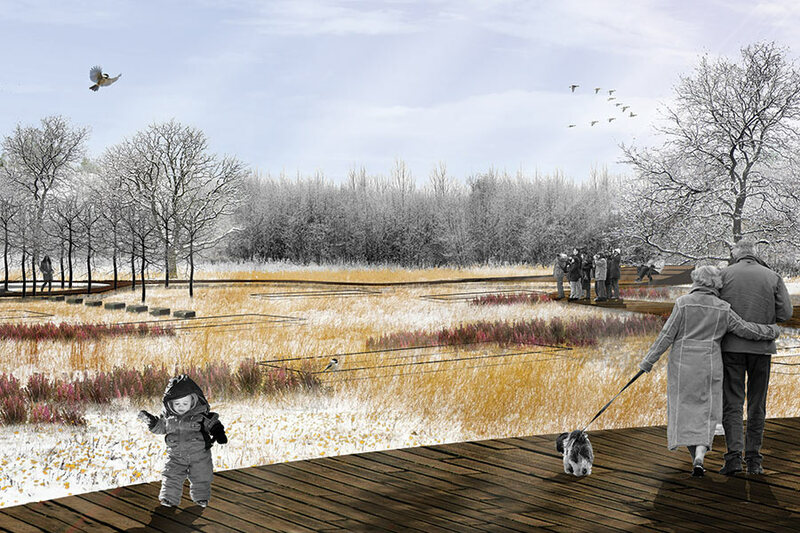 With the aid of DOT and consultation from the Regional Plan Association, BGI is able to approach the disjointed, irregular edge from a planning perspective, setting up the framework for park development and a network of open spaces. As the Greenway continues to weave its way along coastal Brooklyn, so too will opportunities for park development, storm surge protection, and green infrastructure. Just south of Newtown Creek, West Street starts to unfold. Past the intertwined Ailanthus trees and rusty chain-link fences there is an ominous desolation in the canyon of empty factory warehouses. 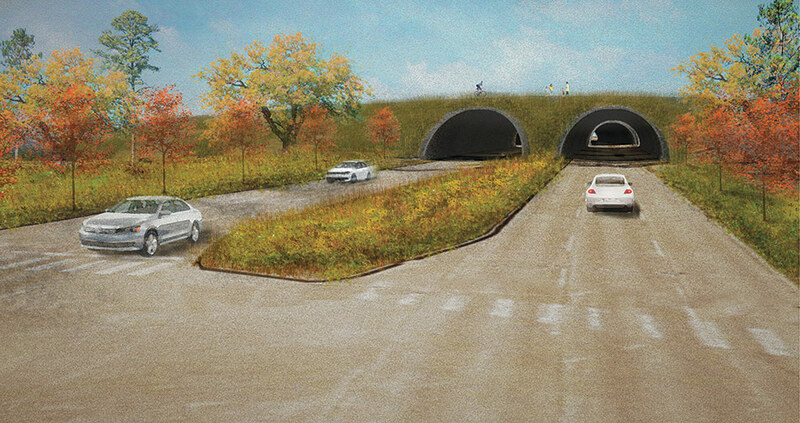 DOT recently secured $10 million for a capital project on West Street in order to address stormwater issues. The cross section of West Street reveals the design’s ability to retain initial stormwater and infiltrate runoff prior to its surface route to the East River, preventing it from entering the combined sewer system. A section of the greenway along Columbia Street. 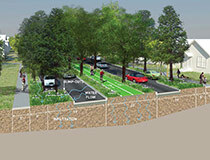 Kent Avenue reveals the potential of an effective greenway; where parked cars delineate motor traffic from greenway traffic, cyclist and pedestrians are prevalent and buildings are increasingly occupied. 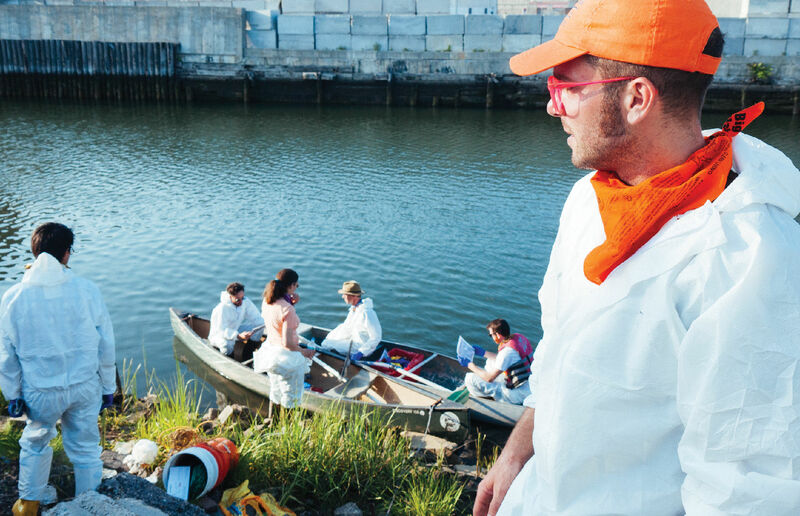 However, as you round Wallabout Channel to the east of the Brooklyn Navy Yard, you once again feel trapped in Brooklyn’s post-industrial margin between the expressway and weedy lots. BGI officials know this and they have a capital project in the works to ameliorate the issue. The eastern portion of the Navy Yard will soon be under construction to develop a passive recreation zone. 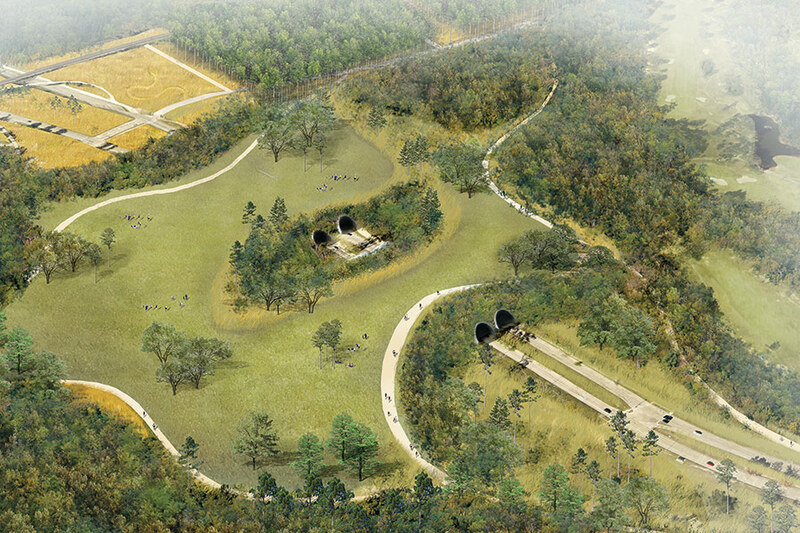 One of BGI’s capital projects, the Naval Cemetery Landscape, has secured $1 million in funding from the TKF Foundation, a non-profit devoted to the development of sacred urban spaces, and $800,000 from the City Council. 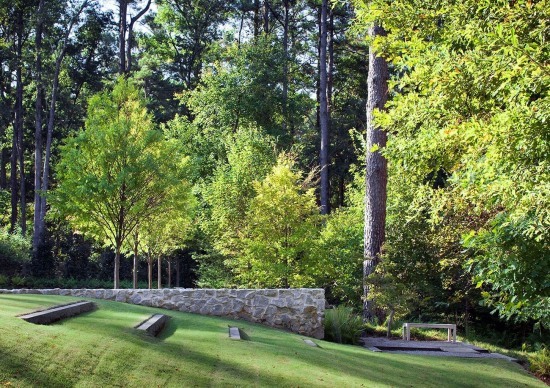 Nelson Byrd Woltz Landscape Architects are creating a landscape that will shift in plant form with time, just as the program of the site has shifted from farm to hospital to cemetery. 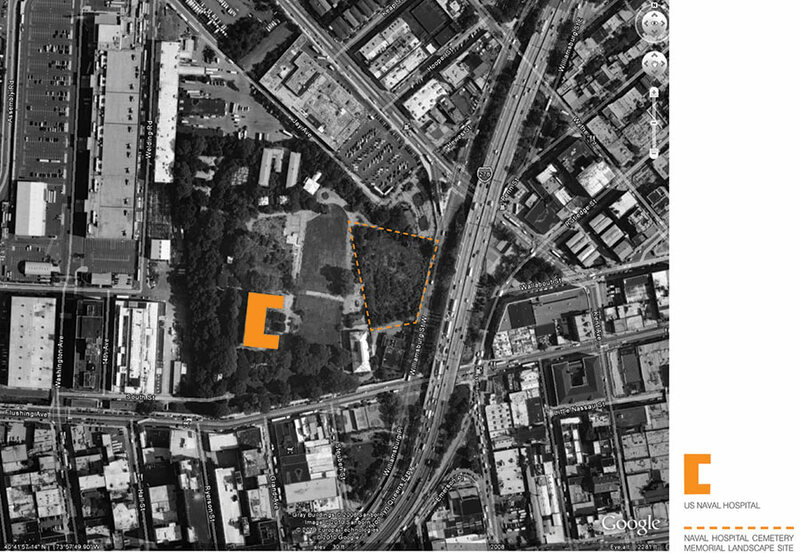 As site preparation and contract documentation begin on that project, BGI is on to the next: Williamsburg Bridge Park and Columbia Park.